Did you know, not only are Sit n stand strollers maneuverable, some are rear facing and some come as a double jogger or side by side stroller, among other styles? They can have a 5 point harness to ensure your child’s safety, or a large storage basket allowing you to carry everything you need, some are even removable. Then there are the one that are fully equipped with a cup holder and canopy, these type of strollers can be great for toddlers and babies alike. If you are like me then you may have multiple kids, and you want something that can hold all of them. I have an infant and a toddler, and I found the sit and stand stroller and I love it. Not only can my toddler sit or stand in the back, but my infant can sit up front in the smaller seat. It is a win-win for everyone. There is another perk about the sit and stand stroller and that is that isn’t big and bulky like other strollers. You may have seen a double or triple seated stroller, now those take up a whole lot of room which most of us don’t really have depending on where you are going. You want something that is slender and can be moved around easily in different areas. The sit and stand strollers are compact as well as easy to push around. The information that is provided below can help you to make the right choice for you whenever that time comes. Be sure to enjoy all that comes from your stroller that will help you to get around if you have multiple children. I made sure that I covered multiple points that can help you to pick which one will be best for your situation. You want to keep the ideas I throw out in mind, but you also need to know what you are looking for. This way you are able to pick what is best for your family. A sit and stand stroller isn’t like a double stroller. 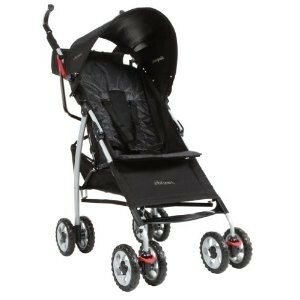 So there will be a lot to look for when you are picking a stroller that will serve its purpose as well as easy to use. Since it has been designed to hold multiple children at different age points, it is important to be aware of the weight limit on the stroller, frame strength and the size of the platform for standing. Check out this video to see how they work. 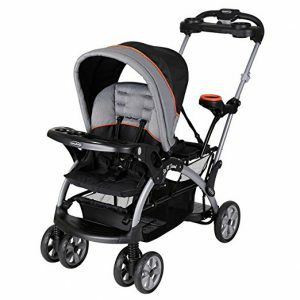 There are a lot of things that you should look for when you are trying to pick the best strollers for you and your little ones. You will need to keep in mind that some options you may not need, but making a list of features that are important to you to the least important can help you to get the most out of the stroller that you pick. I found that there are general features that you really should consider as they will make life much easier. The weight and height of your little one will make a difference when you start to look at one of these strollers. This is why it is really important to consider what each of the strollers can offer. You are going to want something that will be able to hold the weight of your kids safely and comfortably. If you happen to have an infant still in a car seat that is too small for the larger seat in the stroller, you need to see if the stroller that you pick will work with this. Check around to see if the stroller will be compatible with the child seat that you have before you ever purchase it, or if you can purchase an adapter that will work the child seat. The stroller height is a big thing that needs to be considered if you are either shorter or taller than an average person. You may want to find something that will be comfortable for you when you are out and about pushing the stroller. Height can really make a difference. Everyone needs to be safe when out with a stroller. You will want to ensure that your little one up front is going to be safe, but your older child in the back is safe as well. Check out the harness straps and if there are wheel locks. There are a lot of safety areas that a parent will need to check out on any type of stroller. The price of any stroller will help you to make a choice on which one to go with. This is why picking a budget to go with and then considering the options that you want that are in the budget can help you to pick the stroller that will work for your family. The way that you move a stroller around is going to make you hate or love it. Buying a stroller that allows you to move it around easily is going to be a big thing. Ensure that you have the right stroller that has a high rating for ease of use. A stroller is supposed to make your life so much easier not harder. There are a lot of different recommended weight and age limits for a stroller. The weight will change based on the stroller, and so just to give you an idea on what weight is good for the stroller you are looking at. Normally 4 and under and ride in the back with no problem, and those who are 2 and under need to be in the front seat. There are some strollers out there that have a bigger weight limit such as letting up to 6 years on the back. This is great if you are a big walker like I am and your little one wants to take a rest for a bit. Weight on the stroller needs to be a bit evened out to be safe. Keep this in the back of your mind when you are picking a stroller. This is why its important to check the safety requirements and weight limit on the stroller you pick for your family. Below are some of the best sit and stand strollers that I found out right now. These are great for families with different aged children. If you have a heavier child, you can’t go wrong with the Caboose. It is super easy to control. Unlike its rivals, it is super easy to steer around but not like a single stroller. The front seat holds 45 pounds, which is less from other competitions. It does have a universal car seat attachment which is great if you are traveling. It has a stand on a tandem design, easy trigger fold design, and a storage basket. It also has swivel wheels that are fixed and plastic tires. The back seat is a bit small, but it is much easier to use than others. If you have been searching for something on the cheap side but has what you want then you aren’t making a mistake by spending less than $150 for the Ultra. Both front and back seats will hold up to 50 pounds, which is really convenient unlike the higher priced strollers. The fabric used is Nylon and the frame is a sturdy metal, it has a large basket and super easy to transport and fold up. The thing I loved about this one is that it comes with a Britax car seat that is great for traveling. Although it is a bit longer, it is very easy to fold with just one hand. The only real issue is that if you have a heavier child in front, it can be a bit hard to steer. The RoomFor2 is great if you have 2 kids. It was designed with only 2 children in mind and this sit and stand stroller is quite great for heavier children under 50 pounds each. 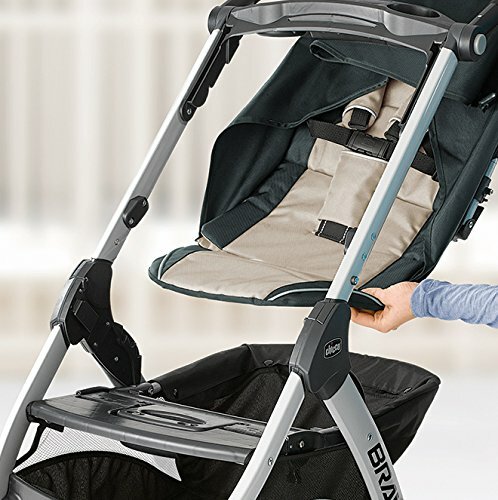 One of the great things about this stroller is that is was designed to work with any of the Classic Connect car seats from Graco. The front seat has a multiposition incline that is great for sleepy little ones. It is made with machine washable seats and a sturdy metal frame. Clean ups are a breeze with this stroller. It also was designed to give comfort for both of your children. The rear seat has a 3 point harness and a padded seat that is quite stable. The only real issue is that the front seat wasn’t really made for an infant, but it is easy to use and move around. Read the full RoomFor2 Classic Connect by Graco review. The Classic Connect model is the updated version of the discontinued Graco RoomFor2 Stand and Ride Stroller. Chico is a big name brand for little ones on the market. It is very versatile and affordable when you stop and think about their brand you automatically think high quality. You know that you will get something that will make your life so much easier. This goes for this stroller as well. You can click your car seat on top, have them in the seat, and your other one sitting or standing in back. There is room for everyone for this sit and stand stroller. The car seat locks in place comfortably without any wiggle room on the top. It is made with a universal adapter which is great. It is also a bit smaller than the competitors which means you can move around in smaller areas so much easier. The price is also much more affordable if you have a smaller budget but are looking for quality. The back seat is recommended for children over the age of 2. The straps on the stroller are also super safe, which gives a strong hold when you are out. This a stroller that really gives you the most without having to take out a loan. If you are looking for a stroller that converts into a sit and stand stroller, then this is the one to go with. The price is a bit higher than many parents want, depending on the budget you have. This is a super light stroller, easy to convert, and looks amazing. It has a lot of features that the price you pay for is easily justified. That is how great it is. The inside seat is super safe for a small child, and it is quite comfortable. There is plenty of padding which offers comfort and protection. That is what we all want for our children when we are jogging, walking, or just doing our daily outing. The back part can be pulled down to allow your older kid to sit down for a bit or stand on it, or you can just leave it up so that you don’t need to worry about using it if you don’t have to. It has 20 different configurations, so you can use it as a single, double or even triples. 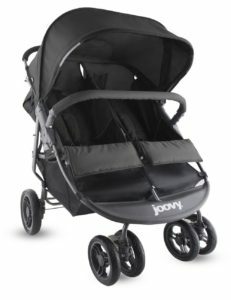 This is one of the most versatile strollers on the market and one of my favorites. You can easily convert it to a sit and stand just by attaching the glider board. It folds up small, which is weird for many jogging strollers. You can take it with you anywhere and you will have the right stroller for the job. It has shocks which makes it really smooth for your little one to ride in, especially if they are sleeping. I personally did not mind the high price, because it grew with my family. A sit and stand stroller has just about anything a mom could ask for. They are price friendly, can grow with your family, designed to give you a great performance, and is comfortable for your little ones. If you are unsure about your budget, then check around to see what you can get for your price point. There are a lot of strollers out there, and these just work for various occasions. There is a stroller out there that will work for you. Many parents have no idea that a sit and stand stroller even exists. If you find one, you will see just how well it works with a growing family. In the end just pick one that works for your family and your little ones. 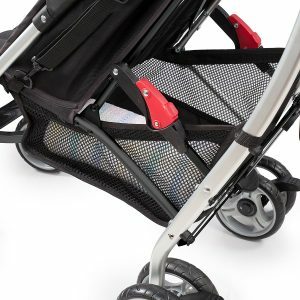 Are you in the market for a basic stroller for taking the baby for a walk occasionally, or a stroller packed with features for use every day and in every situation? An umbrella stroller is a convenient product to have available but what is the best umbrella stroller for you? Umbrella strollers are nice for day trips into town, fun at a local festival, or for parents who want to get back into nature. They are great for managing little ones who prefer not to be held, or when your arms are tired. 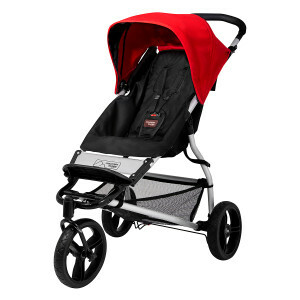 They are smaller, lighter, and more maneuverable than many standard or jogging strollers. This makes them especially convenient in crowded situations or smaller spaces such as the mall or town. An umbrella stroller can be the perfect solution for a low-stress outing. It’s a great option for a primary stroller or backup for parents who want to travel light. 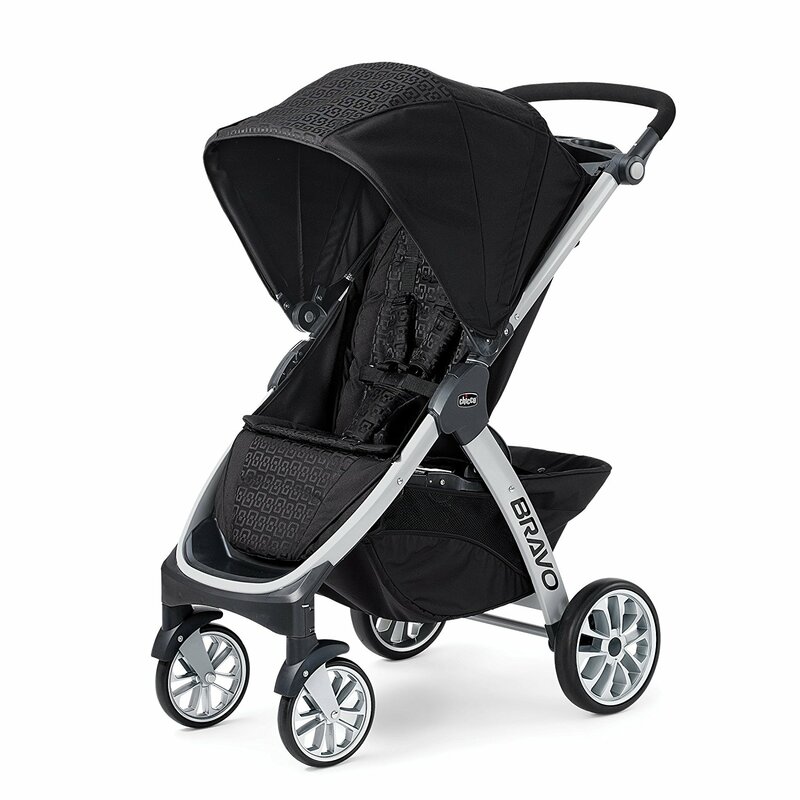 Even though umbrella strollers are great, you won’t find umbrella strollers as stylish as the Stokke Xplory. I can't justify the price of this item. It's really good but is expensive. It's really great except that the storage area is just too small. Why buy an umbrella stroller? These are the most common type of strollers that are out there. They are often called umbrella strollers and are made to fit in basically any small area that you need to put it in such as a closet, trunk, or even in an overhead bin on a plane. There are many parents out there that have found that they aren’t really that comfortable for children who are out on a day trip unlike the bigger models. There are plenty of people who enjoy the fact that it is great when you have to travel just about on any type of public transportation, your own transportation, or for a quick run to the corner store with your little one to pick up any item. Lightweight strollers are really handy for parents so we’ll help you choose the best lightweight stroller. The umbrella strollers are normally called that due to the hooked handles, which are best used as a second stroller. If you’re wanting something that you can use that is not only affordable but easy to take with you anywhere you go, then these are the best. They aren’t best for newborns or infants that still require neck and head support. Strollers like the Summer Infant 3D Lite Convenience stroller, which has different rest positions is great for infants as it gives neck and head support. If you’re looking for a really great, light stroller that is also good for babies check out my Bugaboo Bee review. Many umbrella strollers will often be made from Aluminum frames which is what keeps it lightweight and easy to maneuver into small areas. Some will often come with either a fully reclining or semi-reclining seat which is great for various children and some have canopy that helps to keep the sun off of them. 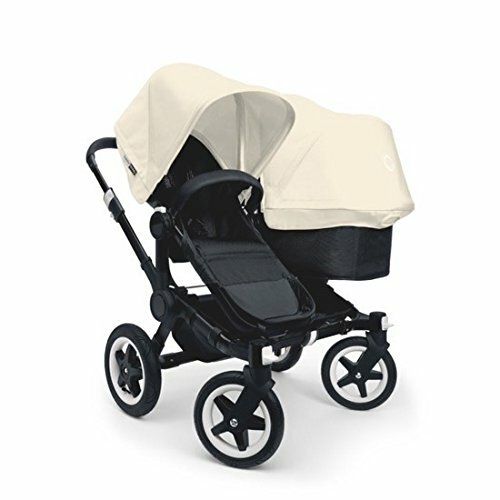 They are often have a 1 step fold, which works better than most higher priced strollers. The Mountain buggy nano stroller is a lightweight model that will really show you what comfortable really looks like for your child. It also has easy to use features such as locking swivel wheels and it is quite compact. There are some features that are right for some babies while others may not work for them. If the stroller reclines fully, then it is safe for a newborn and infant, but if it only semi-reclines it is best for a child that is 4 to 6 months old and older. When it comes to finding the right lightweight stroller or umbrella stroller, you should always look at the safety features that will help you to keep in mind what is best for your child as well as you and your lifestyle. I do the bulk of the shopping for my family and, while I enjoy shopping, it can be stressful to shop with a small child. Shopping around for the right stroller to minimize shopping stress is time-consuming. The first baby stroller I tried was an absolute disaster. I learned so much from that experience about what kind of features to look for, and what to pay attention. There are so many factors to think about such as to such brand, style, frame, and other qualities. I scoured the internet and asked for advice and suggestions from lots of moms. 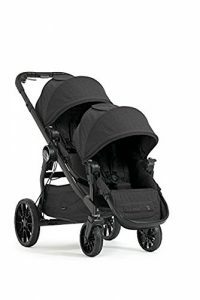 I compared styles and brands to determine the best stroller for my baby, and for me. I took it to such an extreme that my husband teased me about becoming a baby stroller expert. I spent hundred of hours gathering information! I wanted to pass along what I learned to help parents just like you find the perfect stroller for you and your family. Before you go out and buy a stroller that may not suit your purposes, it will help first to decide exactly what you need. You might want a basic foldable model, or you might be interested in a more complex model filled with features. Regardless, there are certain factors you will want to consider to help you find the perfect umbrella stroller to fit your needs. Whether you plan to use your stroller only occasionally or every day, you will want to look for one that is lightweight for easy portability, especially if you use public transportation. However, don’t look for the lightest stroller you can find, as lighter strollers are less sturdy and may be prone to breaking or tipping over. If you buy a stroller that is too light, you will not be able to hang a diaper bag on it, much less your shopping. This is important because it can be difficult to carry heavy items while pushing a stroller. Having a stroller that will accommodate your items, as well as your baby, allows you to have everything conveniently in one place so you can focus on your little one. Unless you have unlimited storage space for a stroller both at home and in your car’s trunk, you’ll need to know whether your stroller will fit in the space available. The best way to make this determination is to know the dimensions. Folding strollers can be highly convenient or a huge hassle. Look for a stroller with an easy fold mechanism. Some of them can even be operated with one hand! You can fold and unfold the stroller without having to put baby down. If you’ve ever used a stroller with a complicated folding mechanism that requires both hands, you know how big of a hassle it is to fold and unfold the stroller in a location where there isn’t a good place to put baby down. Ideally, you want to find a stroller made from aluminum or another metal. There are strollers that are made from plastic that are less expensive but are not likely to hold up, especially to daily use. You will also want to find a stroller with rubber wheels for stability. There are a number of other features you may be interested in for the ultimate in comfort and safety for your baby and convenience for you. A five-point harness that fastens with a secure buckle holds your baby securely in the seat. These features can offer peace of mind that more energetic children will not fall out, while rear brakes keep the stroller from rolling when you let go of it, such as if you stop for coffee. A canopy will protect your child from direct sunlight, and some strollers have canopies that are adjustable or removable, or are made with UV-absorbing fabric. Younger children may fall asleep while you’re out, and a stroller that reclines will allow your baby to rest in comfort. Finally, trays for you and your child offer a convenient place to put snacks, drinks, toys, or other items. Not all strollers will offer all of these features while some strollers offer additional features beyond these. Keep in mind that every added feature, while nice to have, will add both weight and cost to the stroller. So now it’s time to go over the best umbrella strollers in more detail. They have been rated on if they were easy to use, safe, easy to move around, size, and weight as well as the assembly. There are some that will be higher priced than others while some are going to be more basic for those who are on a budget. When it comes to finding a great umbrella stroller, you are going to be pointed to the Summer Infant 3D Lite Convenience Stroller. Why? Simply because it is lightweight, works with all budgets, high weight limit, and a deep recline. That is exactly what parents are looking for when they are looking for an umbrella stroller. No one really wants to go out and spend hundreds on a travel system, just to have to go and buy another stroller that will work for their day to day commute on public transit systems. This stroller was designed just for that. It is perfect for those parents who are constantly on the go and are always running errands, going to parks, traveling on planes, and even just making a trip to the mall. This little stroller only weighs 12 pounds. You can just throw it in and go. Since it has such a deep recline, your little one can have that perfect little nap while you are out and about. The great part about this stroller, is it works with tall children. It fits up to 28 inches tall to the canopy. The stroller was made for infants 6 months or older to children up to 50 pounds. Storage isn’t a problem because it has a cup holder, large basket, and even a storage pocket for your little items. It also has a great canopy that comes with a sun visor, tall handle bars, carry strap, front wheel suspension and best of all it is easy to fold. The website states it is a one hand fold, but I had to use my foot as well and was able to fold it up with my daughter in my arms. It folds up slightly smaller than the Chicco Echo so that’s a plus. This is my absolute favorite travel stroller. It has great features, especially for being such a compact and light stroller. It had the important stuff that I wanted such as storage, tall handle bars, high weight limit, deep recline, low carrying weight and a low price. The fact is that many would be expected to be paying on the upwards of $200 for this type of stroller, but this stroller is much cheaper. That is one thing that you certainly cannot pass up when it comes to having a great travel stroller. Another great thing about this stroller is that it has a 5-point harness and it comes with a 1-year warranty from the original purchase date. Not to mention that it actually has 9 different colors to choose from: Newport Pink, Yellow, Citrus, Blue, Tangerine, Pink, Tropical Green, Black and lime. The frame stays silver. Luckily I was able to find a great umbrella stroller that came in a color that matched all my daughters baby items. 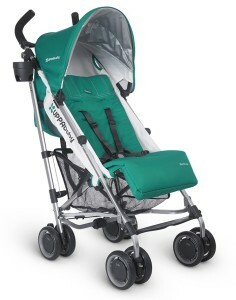 The G-Luxe weighs only 14 pounds and may well be the most widely used umbrella stroller. The newly released 2015 model has a stronger frame and replaces two brakes with just one. Of course, the new model costs a little more than previous models, making it comparable to some higher end models, such as the City Mini. This model reclines nearly flat for maximum comfort for a sleeping baby, has a cup holder and a high-quality sunshade. 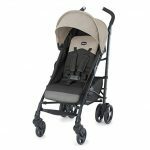 The G-Luxe model by UPPAbaby can held up to years of heavy use. The G-Luxe is not a budget stroller, but if you’re looking for a stroller that can hold up to heavy daily use, it’s worth it. If you’re on a budget and looking for something for less frequent use, a less expensive stroller may be better for you. If you’d like to know more read my review of the UPPAbaby G-Luxe. 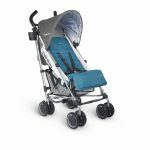 The Echo is a compact stroller from Chicco with more features than their Capri. The first time that I noticed this stroller, I was at the park with my daughter and another parent had their little boy in it. My first thought about this stroller is that is was really modern looking. I loved the fact that the frame was actually colored and it was a really bright, fresh color. It was done in turquoise. It also had black on it and the color mixture made it look really sleek and stylish. So I went to talk to the parent and actually look at the stroller up close. The Echo is a great lightweight umbrella stroller that is very simple, but it is actually affordable. It is priced at under $100, which makes it great for using when you are traveling. Take for instance, you plan to go visit relatives in another state, you are going to want something that is lightweight as well as compact that you can take with you on the plane, then in the car, then other places such as parks, restaurants, but you really do not want to spend a lot of money. Chicco Echo is a great choice. Plus, if it happens to get damaged while at the airport, which happens to me a lot when I am checking in, you will not really get upset, because you did not spend a lot of cash. Besides the great price, it has a really roomy seat that has plenty of headroom. It comes with an adjustable leg rest and tall handlebars as well as a medium sized basket. 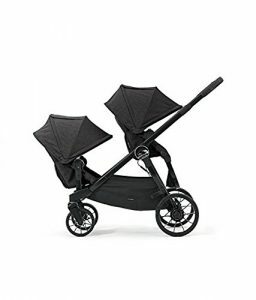 I am not saying that it is the greatest umbrella stroller out there, simply because there is little to no padding on the back of the seat, the canopy is small, there isn’t any peek a boo window, and it doesn’t really recline. Not to mention that is weighs around 17 pounds, which is a little heavy for such a basic stroller. Now those are things that I can really deal with, but when it comes to the wheels, they are really small and made of plastic and hard to push on rough surfaces. 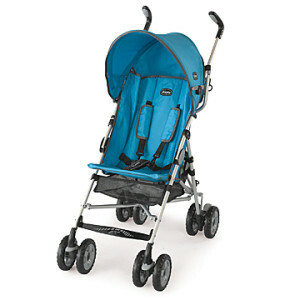 It is great for those who live in the city that has a lot of flat surfaces, this is a great stroller. My favorite part about the stroller is the roomy seat. My little one has plenty of room to wiggle in and since it does recline a bit, she is able to take naps when on the go. There is a one hand recline lever, which allows you to recline easily if you are doing something else. I was a little iffy about the lack of padding on the back, because you can feel the support bar through the material, so I actually made a foam pillow to make it more comfortable for her. The canopy does have a really nice option for being unzipped to allow air circulation on those hot, muggy days. It has a one year warranty and if you are constantly on the go like I am, this for the low price, it will work. You don’t have to worry about if it gets damaged, because it is that cheap. The Maclaren Techno weighs in at 14.2 lbs and has the convenience of an umbrella stroller with many of the features of a high-end luxury stroller. 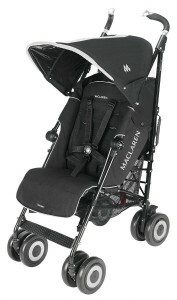 The thing about that is that the cost is far higher than your average umbrella stroller. 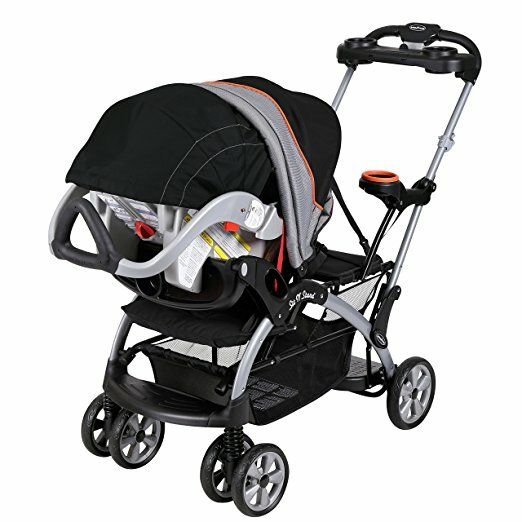 This model has shock-absorbing suspension for a smooth ride for the baby. 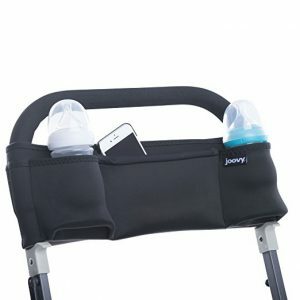 It also has adjustable handles to make it easy and comfortable to push, even for taller parents. It also has an extendable canopy and flip-out UV visor to protect baby from the sun, a peek a boo panel, and a rain cover. For you, there are storage pockets for convenient storage. The Techno reclines nearly flat for comfortable sleeping or newborn babies. It also comes with a lifetime guarantee, so you know it’s made to hold up to heavy use. If you’ve ever used your averaged umbrella stroller you would have noticed that they don’t hold up to wear and tear very well. If you want a compact stroller that’s easy to lift yet still has luxury features, this is the stroller for you. 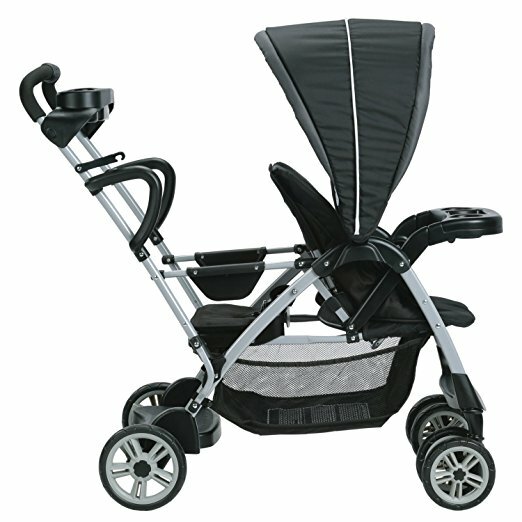 Recently, my friend was asking about if I could recommend any type of umbrella stroller. I have been through a lot of them and my honest opinion is you get what you pay for. I told her about my Maclaren Techno XT. 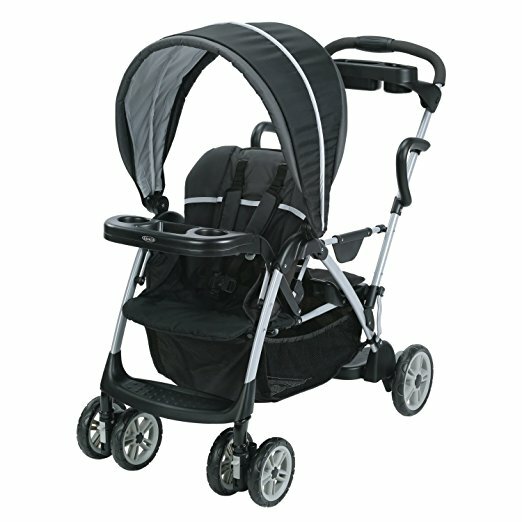 This is a really popular stroller simply because it is so easy to move around and it really folds up small. It has hard rubber wheels, which means that you don’t have to deal with a flat tire and it has all wheel suspension, which gives your little one a nice comfortable ride even in the most torn up terrain out there. It has a narrow frame that allows it to be navigated in tight spaces such as in stores, elevators, and even between cars when you need to find your own car. There is also a recline level that you can use with just one hand that has 4 different reclining positions that goes almost as flat as for a newborn. If your child is a bit on the tall side, no worries, this stroller has an adjustable canopy that will move up and down on the frame to give your child the head room it needs. When it comes to the canopy, this one is quite large and it even expands in the back to add more canopy for your child and there is also a pop out sun visor to give your little one extra coverage from the sun. The seat is very roomy and was made for newborn infants all the way up to an older child to 55 pounds. Plus it has an extendable leg rest that lets your little one stretch their legs. 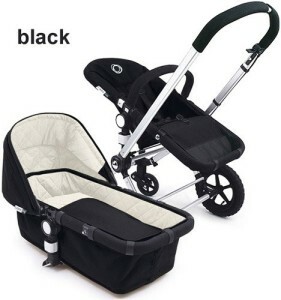 Although there is not a travel system option, it does have an option for a carry cot for newborns that simply inserts into the seat but you have to buy that separately. There is also a basket that fits a medium sized diaper bag without any issues. Plus there is a large pocket on the back of the seat for extra storage options for parents. It is awesome for things like your wallet, keys or even your phone. If you are pretty tall, then you are going to love the fact that the handlebars actually are adjustable which is super rare to find in an umbrella stroller. 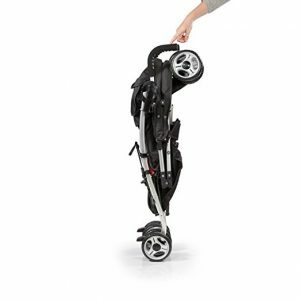 The fold of this stroller is very compact and easy to do. The best part is that you can actually fold it with just one hand. There is also a carrying strap that makes it easy to transport. It weighs about 15 pounds which is good for a sturdy umbrella stroller. This is certainly everything you need and them some in an umbrella stroller. The really most important feature is that it is easy to move around as well as easy to fold. I have really found this stroller to be my favorite in my arsenal of baby items. The one issue I had was choking down the $400. If you’re looking for a lightweight stroller that you can maneuver through store aisles that’s also sturdy enough to stand up to a toddler and heavy shopping, you may be interested in the new Mountain Buggy Mini. The New Zealand company has a solid reputation for strong strollers that can be used on any terrain, in town or off-road. The Mini looks a lot like the Urban, with a light aluminum frame, a canvas seat in black/chili, and a Mountain Buggy kick plate. This model is stylish, streamlined, and smart. The Mini weighs in at 8kg (about 17.6 lbs), so it’s a bit heavier than other models we reviewed. It is lighter and narrower than the Urban, but has full-size wheels with Aerotech tires for easy maneuverability, especially over rough terrain. Compared to many strollers, the smooth handling is a big difference, especially in areas without sidewalks or where sidewalks are in need of repair. 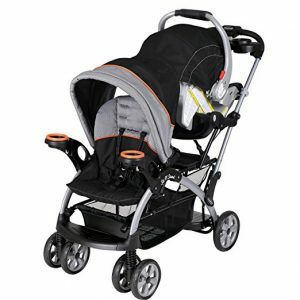 This model is a lightweight 14 lbs and is one of the best budget strollers you can buy. It has a storage console to keep your phone and a drink in easy reach. With six inch wheels, this stroller folds up compact enough to easily fit in most trunks. It reclines (though not quite flat) for the inevitable snooze. 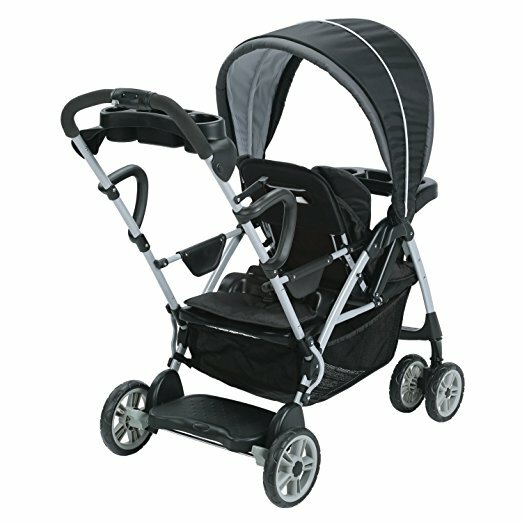 For further information read my The First Years Ignite Stroller review. This model is a super lightweight 11 pounds and is a no frills stroller. 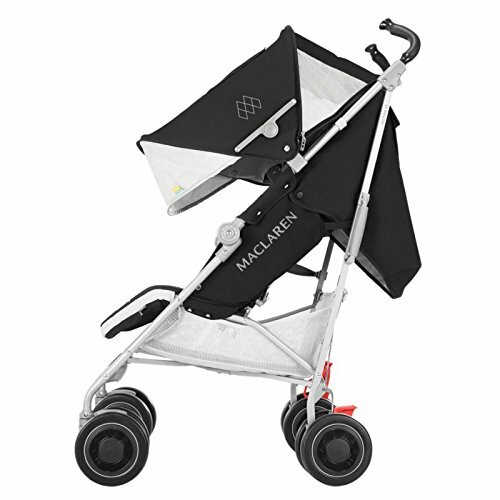 The C6 (formerly known as the Capri) is one of the lightest umbrella strollers you can find. The included travel bag and cover make it ideal for flying. This model has 2 recline positions, which does not lay quite flat. This is a great lightweight stroller for a very low price. Have a stroller you are interested in, but don’t see if featured, contact us and you may see it reviewed! The umbrella strollers are normally called that due to the hooked handles, which are best used as a second stroller. If you wanting something that you can use that is not only affordable but easy to take with you anywhere you go, then these are the best. They aren’t best for newborns or infants that still require neck and head support. 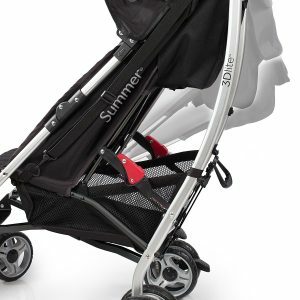 Strollers like the Summer Infant 3D Lite Convenience stroller, which has different rest positions is great for infants as it gives neck and head support. When it comes to umbrella or lightweight strollers, which one is really the best? 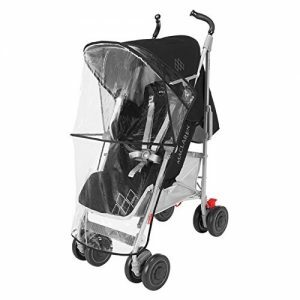 There are well over 16 different highly rated umbrella strollers, but I will only list the top ones. These are very innovative products that are on the market and they have been thoroughly tested. These are top in basically every single category and have managed to knock out the ones that were thought to be the best. They have been rated on if they were easy to use, safe, easy to move around, size, and weight as well as the assembly. There are some that will be higher priced than others while some are going to be more basic for those who are on a budget. This model has one hand folding system that makes it great when you are holding your little one. It will stand on its own when it is folded and there is plenty of storage. It comes with just 3 wheels and the one thing that I have found that I didn’t enjoy about it is that there was no cup holder and it was pretty expensive to purchase. Check out my Mountain Buggy Mini review. This model is able to be reclined and it also has an adjustable leg rest. The large canopy will offer your little one plenty of shade and it is quite easy to push. The locking wheels make it safe as well as making it easy to push. The one thing I didn’t enjoy was the fact that it is a two hand folding model and it was quite longer than any other model. See my review of the UPPA baby G-Luxe. If you’re interested in the UPPAbaby G-Luxe you might be interested in other UPPAbaby products. At the moment you can save 20% on the Uppababy Vista, Cruz 2016! These are the 2016 models so you should act soon before they sell out. Valid June 2017 or until stock runs out. 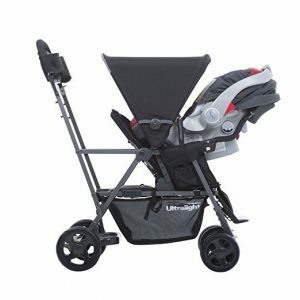 If you want a high end stroller at a great price you can get a 20% discount on the Bugaboo Bee3 online at the moment. Valid June 2017. This model is great for those who are on a budget. It has a storage unit that turns into a backpack as well as has a large canopy for shade. The one thing that I enjoyed what that it reclined and had an adjustable leg rest. This stroller has a very innovative design that is easy to push around, as well as agile which is great for traveling. It is also very colorful and fun to use. It is very compact and it will stand on its own when it is folded. The only issue is that it doesn’t recline and it has a pretty small storage space with no cup holder for the parent. When it comes to lightweight strollers these are the best that are out there right now. You can’t beat them at all. They do vary in price but they will give you all that you want for your money’s worth. What does it take to be the best jogging stroller? The old 4 wheeled stroller was used in the past for jogging, but it could really slow you down. You had to do those runs on a flat, smooth surface with planning very carefully. Since the new modern designs have come out, you no longer have to worry about padding your child into the seat, and the wheels have definitely changed from shopping cart wheels to awesome bike wheels that make your stroller look like a three wheeler. The best part is they have great storage, are comfortable for you and your child, and they can go just about anywhere that you want to run, whether it be gravel, the sidewalks, or a dirt track. They will move with you without all of the hassle like before. There are a few things that you should look for when it comes to purchasing a jogging stroller. This is a major plus that you need to have when it comes to taking your little one with you when you go jogging. 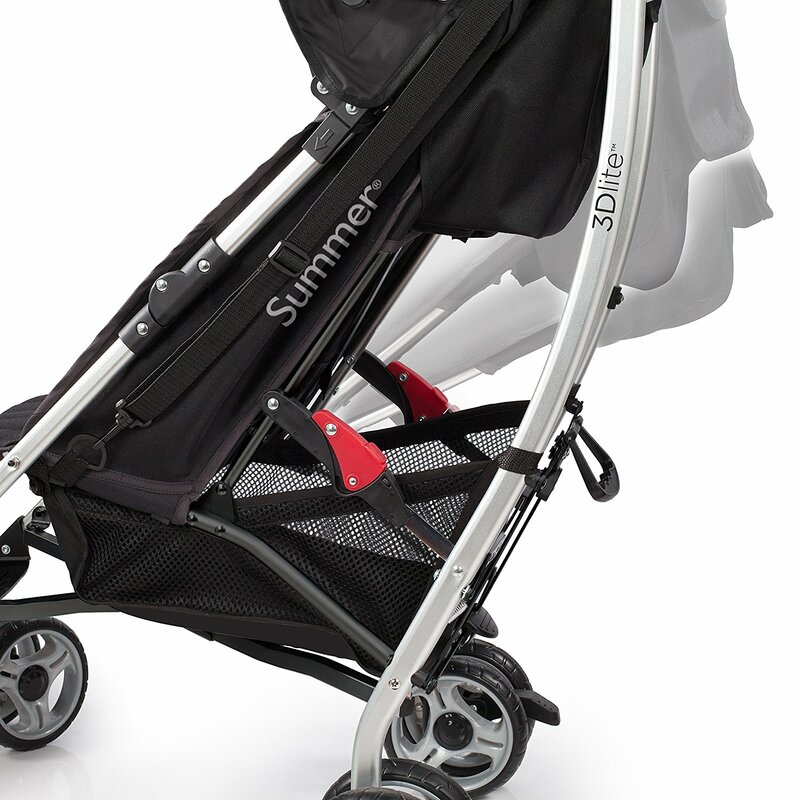 If you are all about safety when you go jogging then you will certainly need the Baby Jogger Summit 360. This model will allow you to turn when you need to without having to worry about the stroller tipping over and it even has an adjustable handlebar. When you need to have a great stroller and you tend to run a lot you will need one that has an adjustable handlebar, as well as handbrake. These will tend to be best especially if you are on a steep grade. The best thing that you can do is find a model that comes with a handbrake similar to the BOB Ironman. This model actually works great if you are all over the place when it comes to your running. When it comes to jogging, running in the same area, can be quite boring. The best thing to do is find something that works on all terrains such as the Mountain Buggy Terrain. This model will go from dirt, rocks, to pavement and more. There isn’t any issues as it does have a handbrake and more that makes it the best in its class. When it comes to finding the right jogging stroller, having the right things to look for can make all the difference when you are shopping. This guide will give you a bit to look for. When it comes to being a jogger with small children, it can be hard to find a baby sitter when you just want to go for a quick run and those past model strollers can make it hard to take them with you. 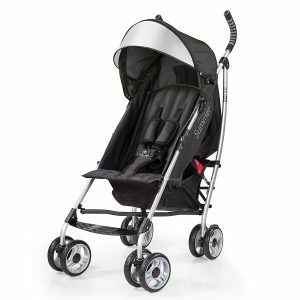 A jogging stroller is the one thing that you can use to make it a bit easier on you, as well as having a nice swivel wheel. Depending on the type of jogging that you will be doing, it can be either a fixed or swivel wheel. If you plan to do be jogging or running in places where there aren’t a lot of turns then a fixed wheel is best. This jogging stroller has a swivel wheel that can be locked. You can use this model just about anywhere. The wheels are larger, which means less resistance for you when you run. It tends to fold up to a lot smaller size, it has 16 inch polymer wheels and the larger wheels work great with short or tall people. The handlebars are not adjustable, but it is a great stroller for just about anything that you want to use it for. 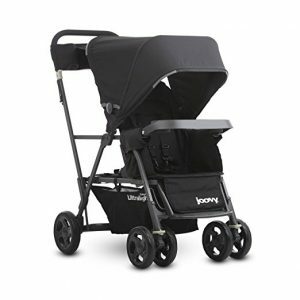 It is long lasting, reclines, and has a large sun canopy that will shade your little one as well as a storage area where you can place your baby bag or your items that you take when you jog. This model is great for those who are on a budget. It has an adjustable handlebar that keeps it great for people of all sizes and the front wheel can either be locked to be a stable position or be swiveling. That makes it a bit more interesting than your average jogging stroller. It also has 16 inch back wheels that works great for running and this model is able to be used for everyday use. It has a cupholder, as well as a large canopy that will keep your little one shaded. It does fully recline and has a large storage area for your diaper bag and anything else you want to throw under there. This tends to be the best option for those who are looking for a great stroller. 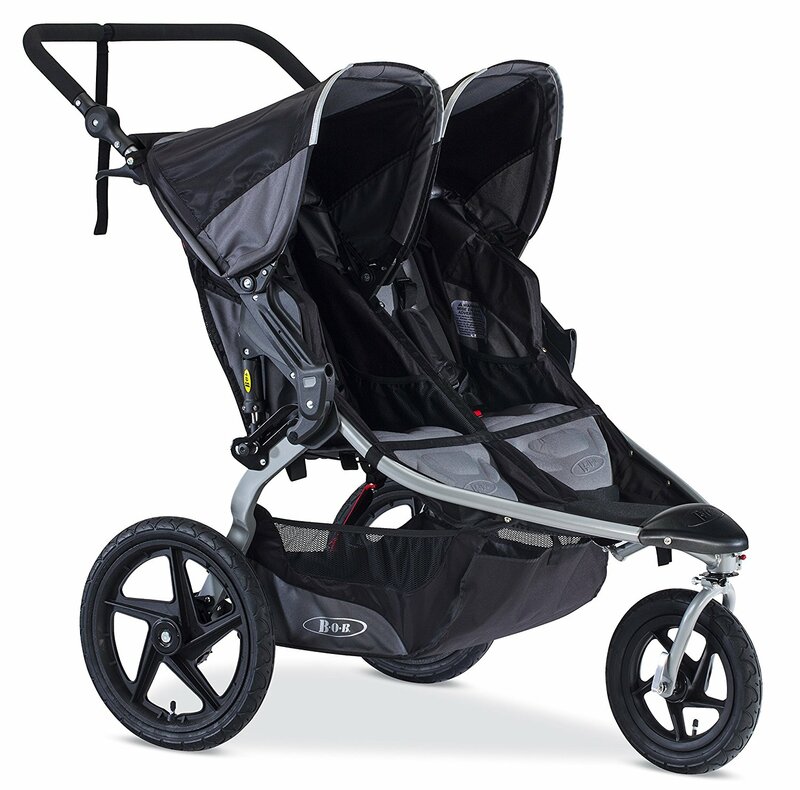 Read the full review of the Schwinn Turismo Swivel Wheel Jogger. When it comes to purchasing a jogging stroller, these are the two models that everyone raves about. They never let people down and they are great on all terrains. A double stroller is the one best essential item that you need in your arsenal if you have more than one young child. 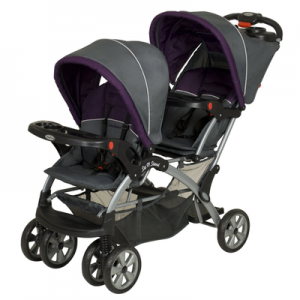 We’ll help you select the best double stroller. The issue is, what to actually look for when you are trying to find the right one that will fit your lifestyle. You need to ask yourself about the type how much it weighs, the size, etc. Even find out if it will fit on your car or subway and how roomy will it be for your little ones. You also need to double check to see if it meets any type of safety standards as well as if it is on the recall list. That is a big issue right there. There are sorts of different double strollers that you can have your children in. These are those cute twin strollers that have the two seats where your children can actually see each other and sit side by side. There are various styles such as the Twin Sport from Combi that has its own storage and comfortable looks for your two little ones. These the ones that have the seats in a row. These are the more traditional double strollers that are available. You have seen these in movies and many more. You can even use these if you have a child that is older than the other one. The best tandem that many have found quite useful is the Quattro Tour Due from Graco. A convertible stroller can be changed to work with just one child or multiple children. It really depends on your needs for that moment. It tends to be best if you are planning for more children in the future and already have one child at the moment. 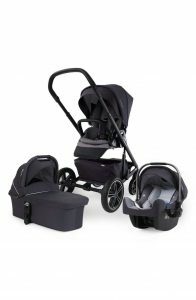 The convertible strollers like the Sport Buggy Double by Phil & Ted is a great one to use or even something similar to it. These are the more modern type of strollers that have a place to sit your youngest at the front while your older one is able to stand at the back while you push or can sit facing you while you are pushing. These are great if your children are years apart. The one that people tend to talk about is the Ultralight by Joovy Caboose. I have a Sit and Stand stroller guide for you to check out. Whenever you decide to purchase any type of baby gear, be sure to check for any safety concerns and always check the recall list as well as consumer reports to keep you up to date. When it comes down to buying a stroller, it can feel like you are shopping for a car. It can be even worse when you have two little ones that are involved. Let’s break it down, don’t freak out. There is a double stroller that will meet the type of needs that you have and even meet the needs of those who are pulling double duty with their little ones as well. A double stroller will allow you to carry your little ones without all of the hassle of wearing yourself out or your little ones during any type of outing that you may have. If you are a new parent, one of the most helpful things you will need is a stroller. When you’ve just given birth to twins, you need a more unique stroller designed specifically for twins. The Chicco Echo Twin is one of the more affordable twin stroller options on the market right now, but it does not lack in quality due to this. Keep reading to find out why I recommend this stroller for any parent of twins who is on a budget. Other than features, one of the main things I look for in strollers is the weight, because let’s face it, we are going to be lugging it in and out of the car and home. 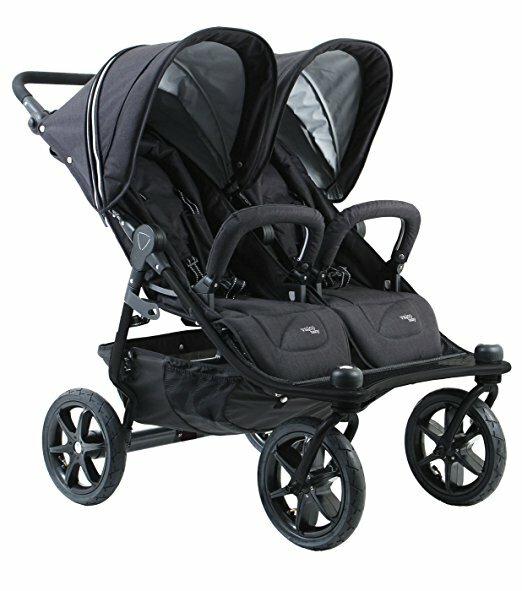 The Chicco Echo Twin is lightweight compared to some twin strollers, which is a big plus. After learning this, I looked into other things, such as the unisex style, great for the fact you may have one boy and one girl, good thinking, right? Let’s get into the features, the babies are going to be comfortable because the fabric is padded, and that is an important thing as an unhappy baby means unhappy parent. The stroller is quick to assemble, with an adjustable backrest so you can position your babies in the way you want. The largest is also adjustable, meaning you can adjust your child’s seat to fit their height. The stroller is designed for newborns up to toddlers, this means it will be more of an investment. You will find it fits your daily needs just great on a budget. It has a decent amount of space for storage, but could be a bit more at times. After all, you have to carry enough for twins now! There are hood covers over each seat, so you can have them adjusted as you wish. 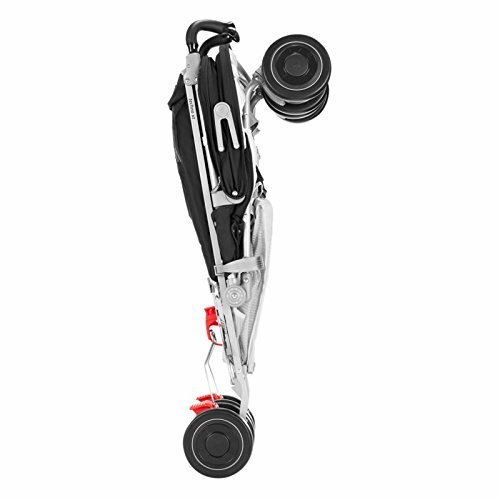 The wheels are designed to make traveling easy, and smooth. This goes back to the comfort of your child being priority. There are a few down sides to a twin stroller. In general, side-by-side twin strollers are much wider than usual. It also lacks support for newborns that are unable to support their head on their own. If your child is not holding its head up yet, you may want a different stroller or give it a little more time. While the sun hoods are adjustable, they are not the best at blocking 100% of the elements. Fabric is padded, backrest and footrests are adjustable. 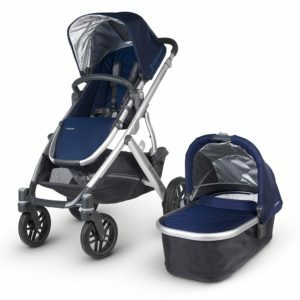 If you are a new parent to twins, the Chicco Echo Twin is a great open on a budget. It is designed to adjust to your growing baby from newborn to toddler, but does not have head support for babies unable to hold their own head up. If your child can hold its head up, you are on a budget and need a twin stroller, this is a good match. If you are a jogger and love to take your little ones with you or just want something that has more moveability, then you want this model as part of your baby gear. It has a 9 position handle bar and a really nice suspension system that will help to keep up with your lifestyle. It is even small enough that it can fit through a standard door frame. It doesn’t matter what BOB stroller that you pick, it is very unlikely that you will hate it. When you are around town and you see someone using a BOB stroller, they always have something good to say about it. Owning your own BOB stroller is similar to sipping champagne at the Oscars. 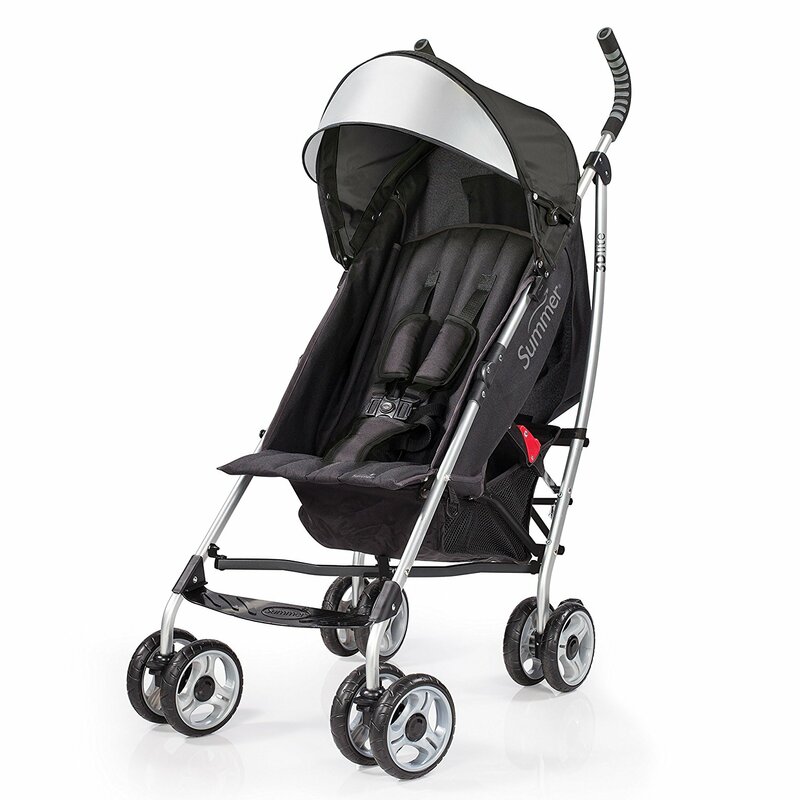 The BOB Revolution Flex Duallie literally has just about every single feature that you could ever want in a stroller. There are a lot of needed accessories with a few unneeded ones in there. It is easy to use, easy to maneuver, made with high quality materials, has plenty of storage and more. This BOB stroller is literally a great twin jogging stroller for all-terrain purposes. It has rubber tires, locking front wheel, adjustable handlebars, suspension and tracking, as well as 9 height positions and the ability to work with just one car seat. Another great thing about this stroller is that it has a simple 2 step fold that has quick release wheels that are actually made from polymers. You can recline each seat on its own and your two little ones each have their own UPF 50+ canopy. Each canopy is going to have a very large peek a boo window, so you can see what your little one is up to. The Flex Duallie actually has a lot of under seat storage as well as large pockets on the back of each seats and inside stow pockets that can hold your littles sippy cup or even some snacks. Another good thing is that each seat can hold up to 50 pounds. That includes with a car seat attached. This stroller is best for little ones who are older than 6 months, but it has been recommended to not go on rough terrain until they are at least 8 months old. When it comes to actually folding this stroller, you will find that it is really easy to do. You just squeeze the levers on the side of the frame at the same time. This causes the stroller to fold. There is a 2 hand fold that comes with a manual lock. This is the hardest thing to use about this stroller. Another thing is that is really heavy when you try to lift it on your own. When you go to unfold it, it is a lot easy to deal with. I am able to unfold it with just one hand. So, depending on who you are, you could do it just the same. Again, this is a heavy stroller and if you are smaller, this could be really hard to manage. It was not meant to be a commuter stroller, so you will need to find something else to use. Overall, if you have to deal with rough terrain or just really good at being athletic, this is a great stroller for those who have 2 kids. It is easy to move around, there isn’t a high issue with tipping and it is very child friendly. This stroller is simple in appearance but it’s very practical. Check out my Joovy Scooter X2 Double stroller review. Lets face it, it can be hard to find a stylish double stroller but Bugaboo haven’t let us down with the Bugaboo Donkey. Check out my Bugaboo Donkey review to find out more. There has been a lot of information going around about this stroller and a lot of places have already been sold out of it. So, I managed to get my hand on one and all I can say is Oh My Goodness. This side by side stroller is not only lightweight, but less than $300. This is literally every parents dream. Zoe brand is new, but the founders have years in this trade. They have a small family ran business that has combined all their fashion expertise with baby products to give us moms a really affordable, double stroller that anyone with twins or 2 close aged children would absolutely love. One of the best things about this company, is that you can actually bring the stroller home, test it out, and then return it if you are not happy. I managed to grab the Zoe XL2 Deluxe. It was great, but there are some issues that do need to be dealt with. Even though it is actually not as sturdy as the heavier models, this is one stroller that is always in my car’s trunk. Parents often want a lightweight double stroller. This is actually the lightest stroller on the market. It is only 16 pounds. Plus it works with gate check limits at the airport, including American Airlines. It is so light, that you can drag it up a flight of stairs without any issues and it works well through most standard doorways, but the cup holder for you, makes it a bit hard. 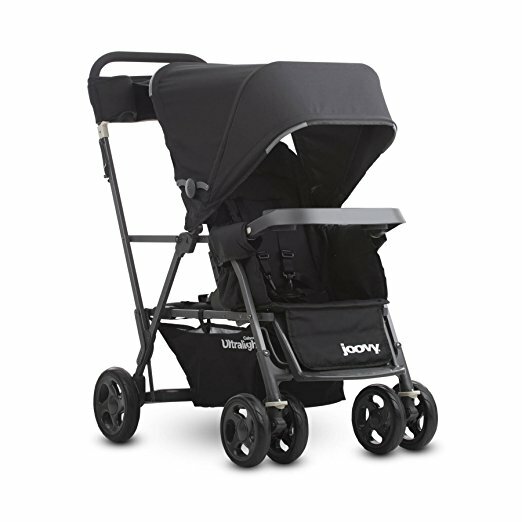 It has a recessed rear axle so if you are tall, you don’t have to worry about your long steps kicking the back of the stroller. But, if you are short like me, who is only 5’2”, this stroller is a bit tall for you. Whenever you fold the stroller up, this stroller is really compact, plus it works great with cars that have limited trunk space. Since this stroller is basically compact, the one thing that it does well is the storage area. It is large enough to carry my diaper bag and purse, both which are large. Plus, this stroller isn’t going to tip over if you place the diaper bag on the handle bars. The canopy goes way beyond what I expected. It actually unzips to cover the belly bar. So if your little one is reclined and sleeping, you can unzip the canopy and then cover them up so the sun isn’t beating on their face. Each canopy has its own peek a boo window and they have little pockets where you can store your phone or wallet. When it comes down to this stroller, I know what the buzz is actually about. This is a light weight stroller that goes beyond what you expect for the price range. It comes in different colors, canopies, wheel caps, and more. It is great for running errands and more. This is my top pick for traveling. Valco is a very popular Australian brand and now they’re catching on around the world. Read my Valco Baby Tri Mode Twin review. The Zee Two by Valco is great for your two little ones as it has shade for each seat and they just zip on. 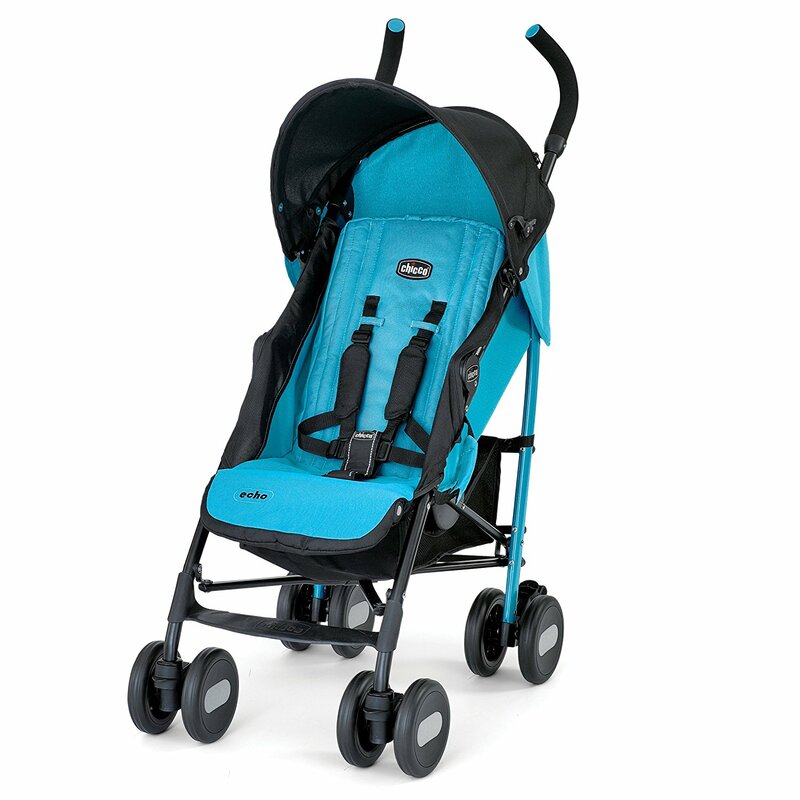 The front has swivel wheels and it has a pretty smooth ride for your little ones. Plus since it is so compact, it tends to make putting it away quite easy and there is a huge storage basket that can store just about anything. This stroller has amazing safety features. It has auto stop brake technology that will keep you safe in those unpredictable moments in your life. You can attach a double kit to the standard to give you over 26 different riding options for your little ones. Now, it can be a bit pricey. When it comes down to finding the right double stroller, these are the best of the best and you only deserve the best. Each one varies in price but they are all worth it when it comes to safety and having a great lifestyle that will last.